It's the arrival of spring, many people's favourite time of the year. Benefit from the spring sun, take a walk by the sea, enjoy a cup of coffee with your friends on a terrace and take in spring fragrances in Opatija. There are many entertainment programmes in the town which will make your stay even more enjoyable. The end of March is the time for the Opatija Coffee Festival, a traditional event that presents news and interesting creations made with this popular beverage. Spring sun and pleasant air temperature – good reasons to start this year's coffee season on Opatija's terraces. 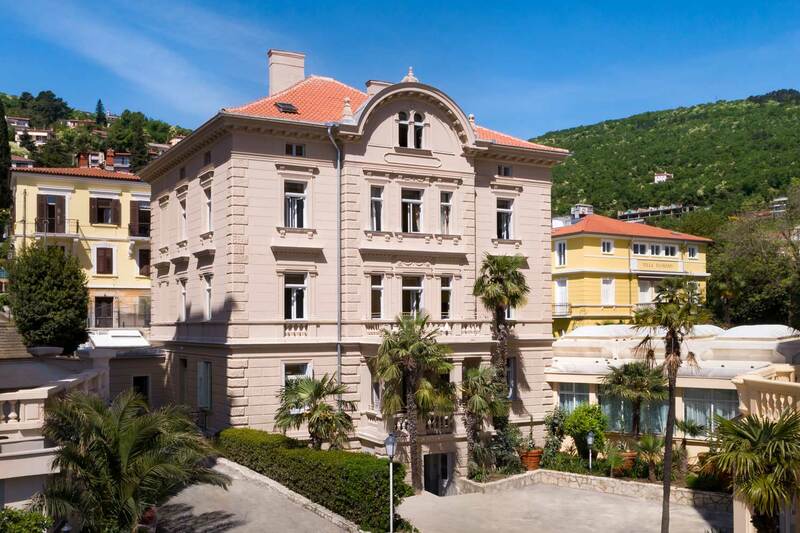 "Opatija Coffee" is not just about drinking coffee and enjoying the first rays of spring sun. It also means taking a pleasant walk on the Lungomare coastal promenade, sampling various cakes and sweets and enjoying a variety of events in the town. Special offer of coffee-based cocktails and desserts, cakes in the shape of a coffee bean, coffee and cakes at promotional prices, exhibition 'Celebrities having coffee', the art of preparing espresso – these are some of the highlights from this year's Coffee Festival. In the first days of April, Opatija's gastronomy is dedicated to asparagus, a wild growing plant that you can pick while walking on the slopes of Mount Učka. Traditional asparagus dishes of this region include omelette, fuži (type of Istrian pasta) and a variety of fish and meat specialities. Make the most of your holiday on the Opatija Riviera and sample selected delicacies of the local cuisine. The best time to taste dishes prepared with the healthy asparagus is spring. Do not miss the traditional omelette and other specialities prepared with this specific ingredient according to original local recipes. The Asparagus Festival will make your stay at the Remisens Hotels & Villas this spring even more rewarding. The historic Hotel Imperial combines modern amenities with Art Nouveau architecture.